Home / BBC / Doctor Who / Featured / List / TV / [List] - Doctor Who Newbies, Where Should You Start? [List] - Doctor Who Newbies, Where Should You Start? "I've never watched Dr. Who. Is there any advice you can give on where to start? Should one go back as early as possible and just watch whatever exists from the original iterations of Dr. Who (knowing just a little bit, that some series/episodes of it has been lost) and march forward? Or can you just kind of pop around, maybe start at the beginning of any Doctor's tenure?" It is easily forgotten sometimes by the party faithful that it's only been 8 years since the end of the Dark Age, the 16 year gap when Who wasn't on. And that, against all sense and reason, many people in the world are not British, and therefore lack the cultural institutionalism that Who has achieved in the UK. That despite it's most recent successes (Steven Moffat puts world wide viewership around 77 million), for much of the world and certainly for America, Doctor Who is a new thing, and many people have yet to experience it. And getting into it can be a daunting thing. Unlike Star Trek, which is an anthology of spinoffs, each with their own self contained stories in a shared universe, or Star Wars with it's two separate trilogies, Doctor Who is a single story that has been told over 50 years and 34 television seasons. One character, spanning all that time, with all the continuity snarls and dramatic character reinterpretations that would naturally be born from that scenario. So, where does the uninitiated begin? After the jump, I'll try my best to answer that. My immediate response to the question last week was one I've given many times before. I'm proud to say the fandom of the programme has increased many times based on my recommendations, and this is the tactic I've used thus far: start with series 1, or series 5. Russell T. Davies, when he pitched bringing the series back, was adamant that new viewers should be able to start watching the show with series 1, having no knowledge of the original run of the show, considering the 16 year gap that was about to close. 16 years is enough for whole legions of children to have been born and grown into youths, and conceivably never seen an episode of the series. Those were the viewers he wanted. 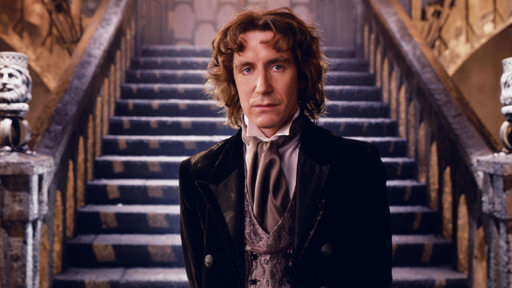 It's for this reason that the new show didn't begin with Paul McGann regenerating into Christopher Eccelston; Davies didn't want to confuse new viewers who would have no idea who the Doctor was, and why he was getting all glowy, and why suddenly there was a new fellow that everyone was still calling the Doctor. 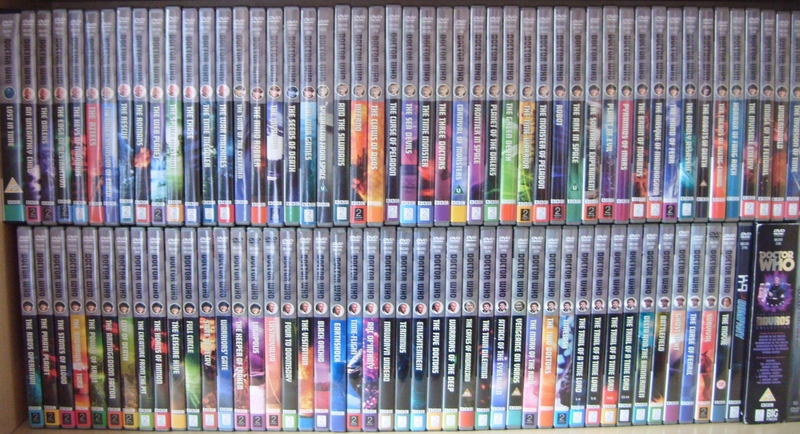 And in that regard, series 1 is a remarkably successful series. The overall silliness and dissociative tone (compared to what had come before and after) aside, the series slowly introduces the concepts of the series to the viewer. In fact, for fans of the old series, it became a game of sorts when things got mentioned for the first time. Words like "Time Lord," "Gallifrey," and "Dalek" are nonsense words without context, and series 1 went to great lengths to establish that context. By the end of that first series, the viewer will have been brought up to speed with the "big ideas" of the series, stuff like "bigger on the inside," "regeneration," and the All Important Rules That Can Never Be Broken, that will on a regular basis be broken. The other option, just as valid, is to start at the beginning of series 5. I've seen this tactic work to greater effect than starting with series 1. 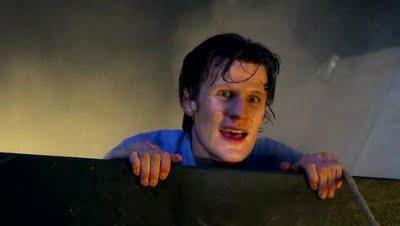 The beginning of Matt Smith's time on the show has an advantage over David Tennant's start, and that was it accompanied the change over from Russell T. Davies to Steven Moffat. Because it's not so much the regenerations that take place on screen that matter, as those that take place behind the scenes. As I hopefully made clear last week, the creative direction of the show dictates the over all quality of the programme more than anything, as it should. Sylvester McCoy is a fantastic actor, and great in the role of the Seventh Doctor, but that doesn't stop his time on the show from being some of the worst in the series history, because of creative direction the writers had decided on. While Davies had settled on a somewhat lighter tone (which got progressively darker over the first four years), which used stand alone stories with broader, overarching elements that built towards something, Moffat took a much darker tone. And took arch building to an entirely different level. While it can be argued that in the last couple years, this arch building has gotten the better of him, I firmly believe that series 5 is one of the best in the entire 50 year history of the show. Everything works together beautifully, and rather uniquely, there isn't a single episode that entire season I don't like. Even the weakest among them (probably The Beast Below, or The Lodger) are still pretty solid episodes. And because Moffat wasn't as shy about referencing the past, series 5 was the first of the returned series that truly felt like it united the old with the new. Starting with series 5 introduces the viewer to Who at it's best, and can instill a thirst for more. So, that's the easiest way to get into the newer material. But there are 26 seasons of material that aired from 1963 to 1989 that are left to investigate. And a modern viewer might not come to this stuff as naturally as they would come to the newer. The production values can be somewhat jarring to a generation that is used to CG space battles and perfectly sculpted monsters. Doctor Who gained a reputation for being a bit camp, what with it's bubble wrap costumes and dodgy sets. But like anything, there is good and bad, and the viewer shouldn't get distracted by the aesthetics, when there is so much to really love about the show. The original run also makes it easier to jump in at any point. The structure of the series was less like a conventional TV show (the modern programme was heavily influenced by, of all things, Buffy) and more like the film serials of old. Each season of the show would feature between four or six serials, which in turn would be made up of an average of four half hour episodes. When the show first began, a serial might last between six and twelve episodes, and by the end a serial was made up of a pair of 40 minute episodes. These serials were stand alone stories, each episode ending on a cliffhanger until the serial was resolved (a technique used by the original Batman series as well) and the DVD releases have all been serial based. This allows the modern viewer, wanting to jump on, to cherry pick which serials they want to watch, allowing the opportunity to experience the best of Who first. And because the old series wasn't overly concerned with continuity, so long as you understand roughly who the Doctor is, and what the role of the companions are, that's all you need to know going in. But again, the question is, where to start? I immediately have two thoughts for which of the classic serials to watch first, and City of Death narrowly edges out the other. This is largely regarded as the best of the original series stories, and it's not hard to see why. It was Tom Baker at the peak of his performance as the Fourth Doctor, and behind the scenes you had Douglas Adams writing at the peak of his talent. The story is a complex heist story that uses time travel as an element of the narrative, a rarity in Doctor Who. It's alternately funny and dark, and was the serial that Davies used to convince the BBC to bring the show back, stating that the tone and themes of this story perfectly encapsulate what Doctor Who should be. Add in future Indiana Jones villain Julian Glover as the baddie, and you've got classic Who at it's best. The runner up, but only by a hair. If you want a crash course in Whovianism, this is the one. The 20th anniversary special saw four of the five Doctors unite, with their most associated companions, to quell a threat to all of his former selves. Everything you need know about the series is here, in brief. The arrogance of the Time Lords of Gallifrey? Check? The Master, and his plotting? Check. A plethora of classic villains, like Daleks and Cybermen? Check. A lot of mythology building? Check. The relationships the Doctor has with his companions? Check. And, because it spans the entire history of the show to that point, it offers the new viewer a snap shot of the show to that point. Find yourself routing for Sarah Jane and Three, than you know what to watch next. Wonder exactly why the funny looking one is wearing such an absurd coat, that's a question... that never really gets answered, really. But as a jumping off point, you can't get much better. Beyond this, it's really dealers choice. 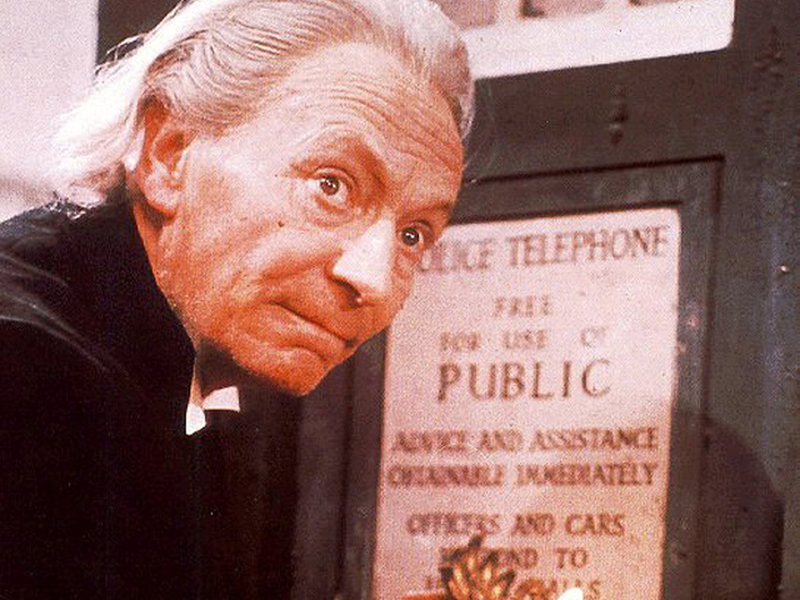 The classic series produced 159 separate stories, over seven Doctors and 26 years. And once you've sampled, you'll find as everyone does, that one Doctor speaks more to you. That's your Doctor. Everyone has their Doctor. Even the Doctors have Doctors. For David Tennant, it was Peter Davison's Fifth. 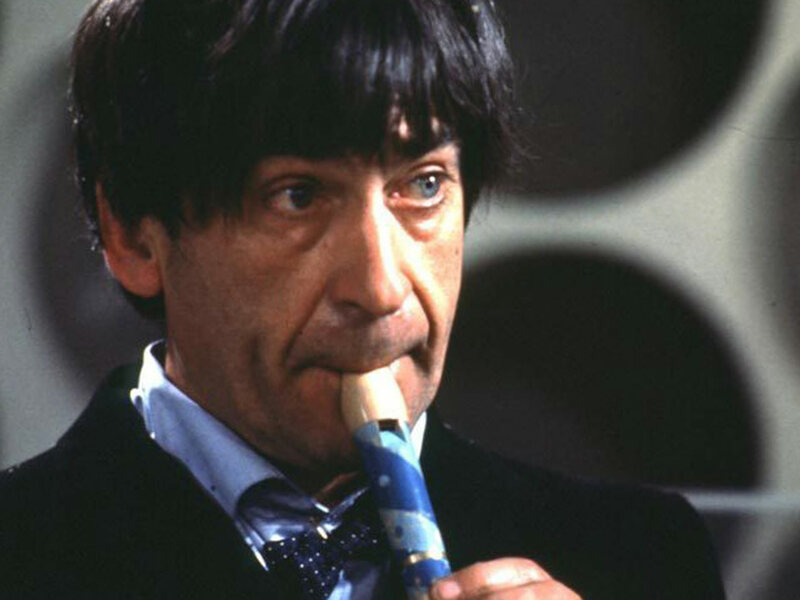 For Matt Smith, it was Patrick Troughton's Second. Myself, I'm partial to Jon Pertwee's Third. For most people, it will always be Tom Baker's Fourth, whose teeth and curls, scarves and jelly babies will forever be the cultural association with the series. I invite you to discover who your Doctor is, and below, I've assembled a short list of the serials from each Doctor that are a good enough place to start. But don't stop here, sample widely. What works for some don't work for other, and don't feel like you need to see everything. Frankly, not everything is worth seeing. But those that are, are really something special. It wouldn't have lasted 50 years if they wasn't. The Daleks - Second serial ever, and first appearance of what would become the Doctor's greatest enemy. The Dalek Invasion of Earth - The return of the Daleks, and the episode that truly made them a threat that would live on. The Aztecs - The BBC wasn't equipped to do science fiction in the old days, resulting in clunky props and sets. But they did history very well, and the historical episodes of the early days of the series shine.This one narrowly eges out The Romans. The Tomb of the Cybermen - Like the Daleks before them, it wasn't until the Cybermen's second appearance that they became a menacing threat. The War Machines -A combination of elements: a historical story, a regeneration tale, and the first appearance of the Time Lords. Spearhead from Space - The beginning of a new era, the first serial in colour, and the Doctor's exile on Earth, where he teamed up with UNIT and his (in my opinion) greatest companion, the Brigadier. The Three Doctors - The first anniversary episode, and the first multi-Doctor cross over. The Carnival of Monster - a wonderful bit of absurdity this, but a fun time as the Doctor finds himself caught up in a series of mysterious thefts. Genesis of the Daleks - After years of repeating the same old thing with the Daleks, new life was given to the Doctor's enemy in the form of their creator, Davos, who would become a plague on all future Dalek stories. The Deadly Assassin - The only episode in which the Doctor does not travel with a companion, and the episode that spends the most time and reveals the most history about the Time Lords of Gallifrey. The Talons of Weng-Chiang - Largely regarded as the second best story the classic series ever told, a Sherlock Holmes inspired Victorian mystery, which askew science fiction elements until the very end. The Key To Time - The show's first attempt at what we would now call arc building, the entire season, though made up of independent stories, all fed a single connected narrative, as the Doctor hunts all over the universe for the mysterious Key To Time. Earthshock - the sort of story more should aspire too, it featured two major surprises, and redefined the somewhat stagnant role of the companion. 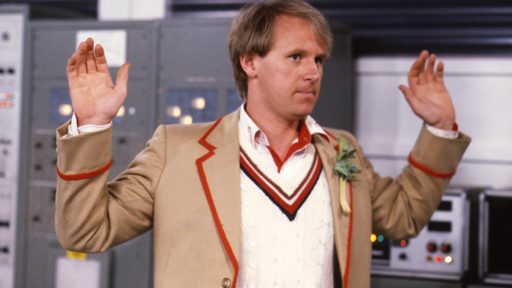 The Caves of Androzani - Largely accepted as the best Fifth Doctor story, it was also his last. The Two Doctors - The last of the original multi-Doctor anniversary specials of the original run, seeing the Sixth Doctor team up with the Second. Not the best episode, but fun, and the rest of Six's run was pretty dry. Remembrance of the Dalek - There aren't a lot of episodes during the waning days of the series that I can honestly recommend, and the best course of action is to avoid the entire 26th season entirely. But Remembrance managed to make the Daleks a credible threat again, for the first time since Baker's days. Until yesterday, I would have said you only have one choice for the Eighth - the disastrous 1996 film - but now we have another option. The film is worth seeing, if only for McGann's performance, but a better choice would be to get a hold of some of his Big Finish audio drama, where the Eighth doctor's potential really shines through. It still feels like a daunting, almost overwhelming adventure to dive into Dr. Who now, but you've given some excellent advice about where to start (and, if it works out that way, where to try again if at first you don't succeed). Thanks very much for another excellent, comprehensive article. You're welcome. And you're right, it is daunting, and happily if all you do is stick with the series since the 2005 return, you'll be fine. It's just nice to know that there is so much more out there if you ever decide to explore. I'm so glad I stumbled upon this, it is just what I needed. I don't think Dr. Who has ever been shown on television in my country, and if it has, it was before my time, so I've completely missed out and didn't know where to begin. I'm somewhat of a fantasy/sci-fi geek but whenever someone within my geeky circles starts talking about the Doctor I feel like an impostor. I've been looking for a way to get into this and you've been a big help, thank you so much. It's exactly for this reason that I wrote the piece. And not at all that I was bored, and think way too much about this stuff.